Two months after the ‘big’ patch hit our screens, we yet again face a new balance patch, complete with new ladder maps and a new ladder season to boot. We here at ROOT Gaming thought we didn’t want to send you into the new season uninformed, so we wrangled up some expert players to part their wisdom upon you. In these articles which will be in two seperate parts, I’ll be going over the new map pool and examining the new balance patch, with views from three pro gamers, representing each race. Seither, Australia, Terran – Having represented his scene abroad at multiple WCS events and having never placed lower than third in every OCE / SEA WCS event since 2016, Sheldon 'Seither' Barrow is a bastion of the OCE/ SEA scene. Representing SYF Gaming and helping them to three consecutive ANZ Pro League victories, Seither will also be competing in WCS Winter – America and is currently a top GM player. Demi, India, Zerg – A strong Zerg player hailing from the SEA region, Varun 'Demi' Immanuel has represented himself and his current team OSC Elite in a multitude of different tournaments. Having played at the prestigious IEM PyeongChang tournament last year and helping OSC Elite finish second in the ANZ Pro League, Demi is hoping to build on those results this year, already securing qualification for WCS Winter and WESG in 2019. Astrea, United States, Protoss – A long standing member of the American community, Max 'Astrea' Angel is a heavily rated player who is on the hunt for a big 2019. Having previously competed in 2015 WCS, Astrea, who represents new team Alpha X, has been on a steady rise in the past few months, making heads turn in the American scene. He qualified for WCS Winter through the ladder, of which he at the time of writing sits at number four, with an MMR of 6466. In the first of the new seasons for 2019, Blizzard will be introducing four new maps into to the pool. We will say goodbye to Stasis, Blueshift, Para Site and Cerulean Fall and introduce Cyber Forest, Year Zero, Kings Cove and New Repugnancy. These will join Port Alexsander, Kairos Junction and Automaton to make the final seven for the map pool we will most likely see at IEM Katowice, WESG, GSL and WCS Winter. Blizzard: "Take care, as the fastest path to your opponent through this mysterious forest is narrow until the surrounding rocks are cleared. The main bases are very open, so watch out for enemy air drops and small units lurking in the corners." “This one looks like the bases are too close to each other. Maybe it can be offset by the droppable main and tank push abuse vs zerg. It might be bigger than it actually looks though [from the picture], it just seems like there isn’t much room to attack into. 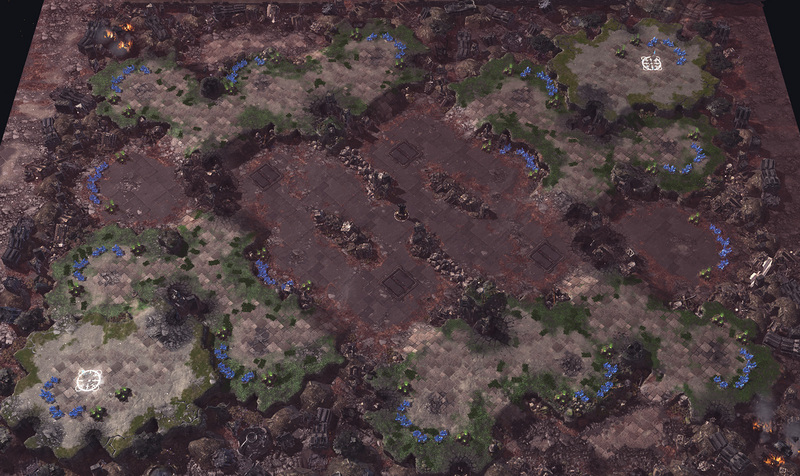 It also looks like a bad cyclone mech map vs zerg because they can easily get five bases up ramps. “A lot of zerg’s aren’t a fan of main bases being big for example the map Automaton. If you land a double drop in and you don’t have creep it could do a lot of damage. At first glance I could see a two base tank push where you elevate the marines with tanks on the low ground which could be really strong. “This is the only map I straight up don’t like. I think these narrow maps that can be split are just poor design, it tends to make long boring games where the guy with the strongest army wins and you can’t do much manoeuvring. I don’t enjoy maps like this outside of balance, especially in TvT [as a game can turn very defensive]." When asked if this will be an auto veto, Seither said he will veto unless he is against weaker players. “I guess it is kind of like Stasis without the gold bases but it seems bigger to me. It seems not nearly as strong for tank pushes, not nearly as many chokes, although it does have the double watchtower set up either side. 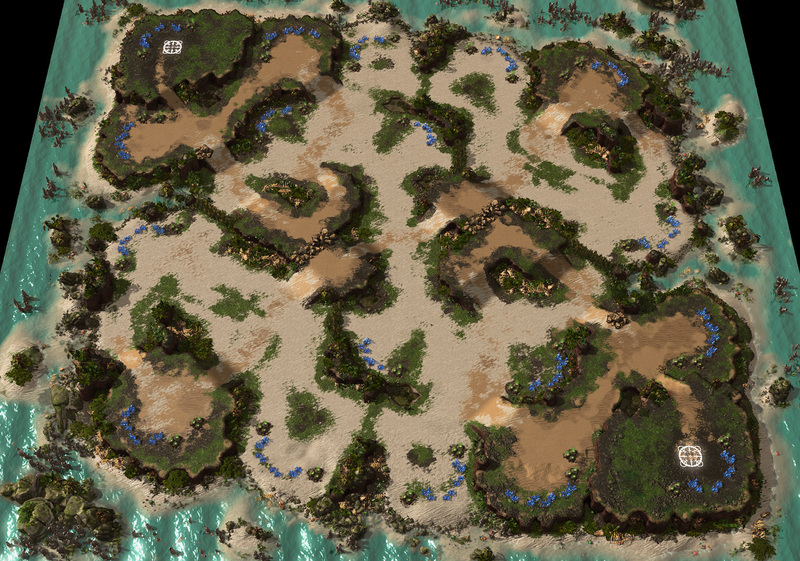 As a Protoss player I think just based on the map layout stargate is favoured a lot, particularly in PvT. Blizzard: "Despite its large size, King's Cove has main bases on the smaller side, so space may be tight as the game progresses. Scout, attack, and flank well or become another buried treasure lost within the cove." “I’m trying to figure out how big it is to wall against zerg, past that though it looks like it has a lot chokes and has lots of bases together. I think they could remove one of the close bases though, it seems too many. It looks good for tank pushes against both zerg and protoss, you can cut protoss off between the natural and the third. 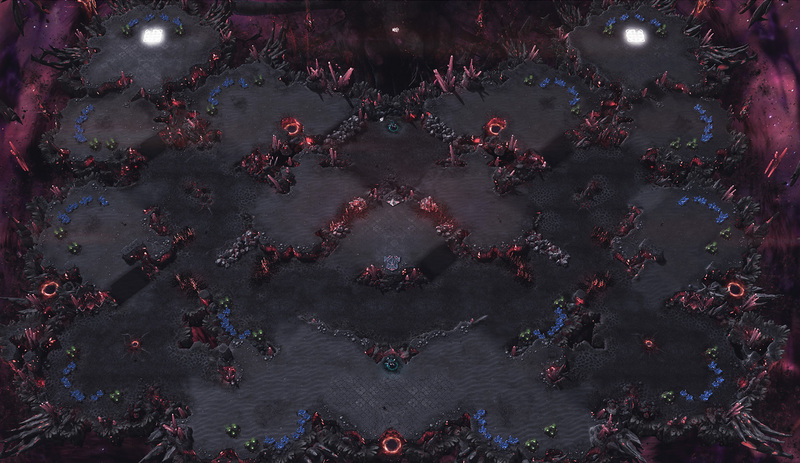 In regards to the double entry natural, “That’s going to be a bit of a meme for the terrans and protoss, it will be hard to wall off for sure. It basically kills two base ZvZ builds since you can’t wall off." "I mean you can play a map without a full wall but there will be so much complaint about it if you can’t three building wall. No protoss player will play that if that’s actually true, I hope it’s not true. The terrain in the centre of the map is interesting to me with the two rocks that are blocked off. Other than that this map is really big. I do think it’s going to be a map where late game happens a lot. 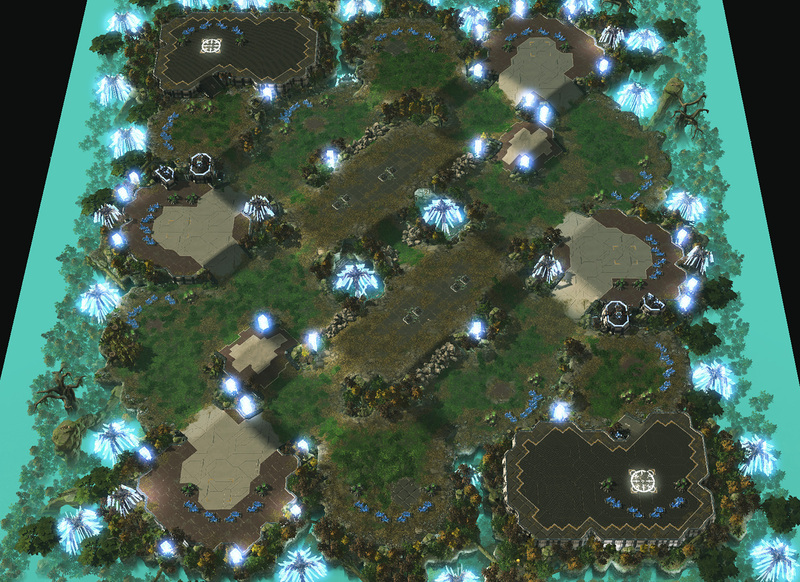 I could see a blink stalker build being good on this map vs Terran." Astrea on the fact the second and third bases are up ramps. “I don’t know about this one. Looks easy to get bases again and with lots of chokes, it’s also kind of narrow too. The only thing making it better than Year Zero is that two of the bases are kind of forward. Doesn’t look very droppable either. “This seems like another choke filled map with lots of low and high ground features. I was going to say that either third you take is pretty far away from the natural but if you take the third on the high ground it’s a pretty tight choke so that doesn’t make it too hard. It seems like Blizzard is really favouring macro maps lately. Given the opportunity to rate the complete new map pool as a whole for their races, Seither scored it a 6/10, Demi a 7/10 and Astrea with a 6.5/10. Pay attention for part two of this article, where I’ll be asking these three their opinions on the new balance changes and what it means for their race and the game as a whole.